And so after my previous article on food, I feel like I should write another on a similar topic. A different country however. I love Japanese food. So much so that I even get terrible Sushi here just for comfort. I don’t go out of my way to eat terrible such, it’s just that most places here aren’t exactly amazing (though I did find a reasonable one in London recently, Yoshino). What I actually miss loads is Ramen. Warm huge bowls of noodle based awesomeness. Before I went to Japan, I read this fantastic article in the Times about the Ramen culture and the people who endeavour to visit mad amounts of Ramen joints. Well the time of year that is my birthday is coming up (30th April for all those uninformed…) and well this one is apparently meant to be a big deal and all. 21. Crazy huh? I think it’s pretty old, well only to the extent that I don’t feel 21, but since when did a number dictate how old you felt. Surely that’s a relative thing? I do have lots of lovely pictures of bikes and jeans, but I just can’t get round to posting them as it just takes a little time. But maybe, just maybe soon. 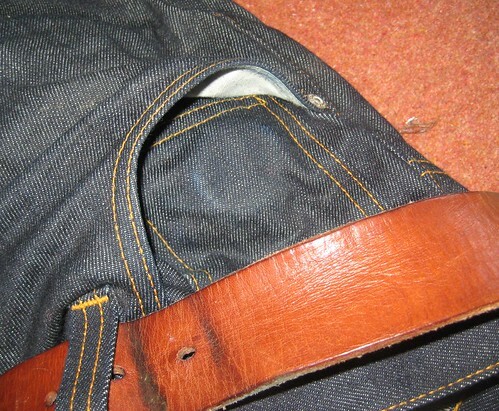 I meant to say last week at somepoint that I had taken some more pictures of my fabulous Nudie jeans and that I should put them up and post them etc., but I clearly forgot and well I have to go and announce them now. Finally (and I mean finally) I finished the sanding and stripping of the frame itself. To be brutally honest, I was so tired of the whole sanding process that I just wanted it to be over with. I’m sure I had spent at least 6+ hours on it and gone through countless sheets of sandpaper and really just wanted the design to progress a little… Though initially, when starting the project, I really wanted to make sure that the work that I did was of a high quality and not rushed, I knew that this part of it would be pretty testing. I know for a fact that I get pretty bored pretty quickly when doing certain things—sanding comes to mind very fast—and I had to make sure that I put in a decent sanding effort. But to be honest I think I did pretty well. Maybe if I had an electric sander next time, or something just a little more effective. Anyway, I wanted to get the whole project moving, so I could finish the frame part and move on to the mechanics and wheels and so on and so forth. Except that halfway through priming the wonderfully sanded frame, I ran out of the stupid red oxide primer.